Artichokes usually show very few defects. Always look carefully for decay affecting the stems, which may or may not be accompanied by mold growth. The most common defect you may find is surface discoloration. The discoloration will range from a medium brown color to a dark black. The area affected will range from a few scales to practically all the scales. As you can see from the above image, is a fairly typical artichoke. There is a small amount of surface discoloration affecting a few of the scales. Is this a defect? 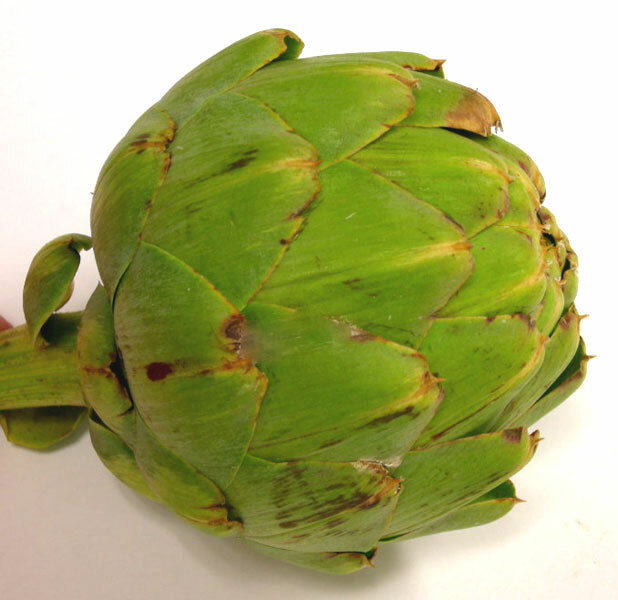 Checking the U.S. Grade Standards and the USDA Inspection Instructions for Artichokes, there is no mention of a guideline for scoring surface discoloration of artichokes. When no specific guideline is stated you must fall back on the general defintion for “damage” and “serious damage.” If you feel the discoloration materially affects the appearance of the artichoke, then you would score that artichoke as a defect. So, does this discoloration materially affect the appearance of this artichoke? The answer is “No”, because the discoloration is only slight, this is not a defect. In this image shown above you can now see that more of the scales are affected by the surface discoloration. 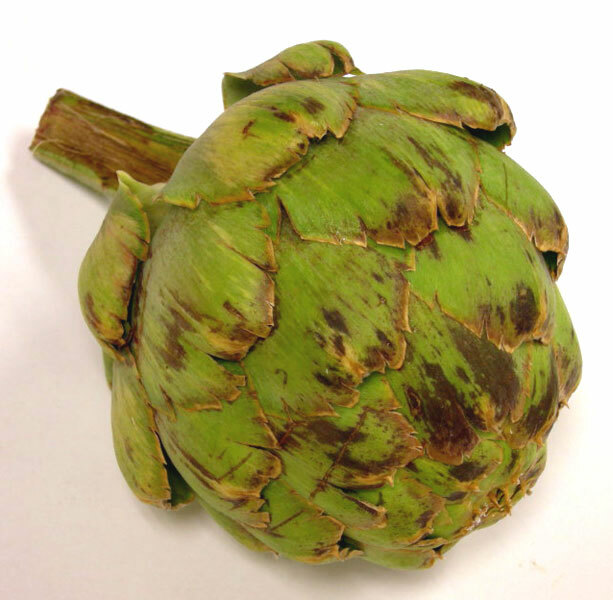 The discoloration on this artichoke does materially affect the appearance, therefore this artichoke would be scored as a defect. The U.S. Grade Standards for Artichokes allow for 10% defects, in the U.S. No. 1 Grade. If you found over 10% of the artichokes with this type of discoloration the lot would fail to grade.